Le Tour de France 2017 will be in our splendid department of the Dordogne the 10, 11 and 12 July. The first day wil be a rest day for the riders. You can try to see them near their hotels or on the road during the training sessions. It is tuesday, july 11 that serious things will begin with the 100% Périgourdine Périgueux – Bergerac stage of 178 km. It will pass in front of the International Center of Parietal art of LASCAUX 4. It reproduces completely and identically the original cave with the use of new technologies such as virtual reality. What better than the Tour de France to celebrate the opening of this exceptional site. Our campers will be spoiled because the villages of BEYNAC ET CAZENAC, VEZAC and LA ROQUE GAGEAC, located 10 minutes from Le Douzou, will be crossed by the peloton. It is all the Black Périgord that the organizers of the biggest cycling race of the world wanted to highlight. The valley of the Dordogne, the valley of the Vézère and its numerous castles will constitue an exceptional setting to see express these great champions. It is in this context that our campsite puts itself at your disposal to welcome you. 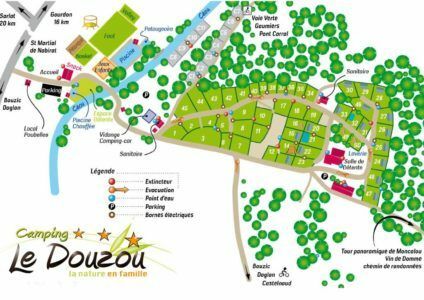 Le Tour de France 2017 will be in the Dordogne black Périgord the 10th, 11th and 12th of july close to campsite le Douzou. Take advantage of our reduced prices in the first half of july to reserve. We propose you a varied range of accommodation among our 17 mobil home and our 3 lodge tent placed on large pitches in terrace without face to face. 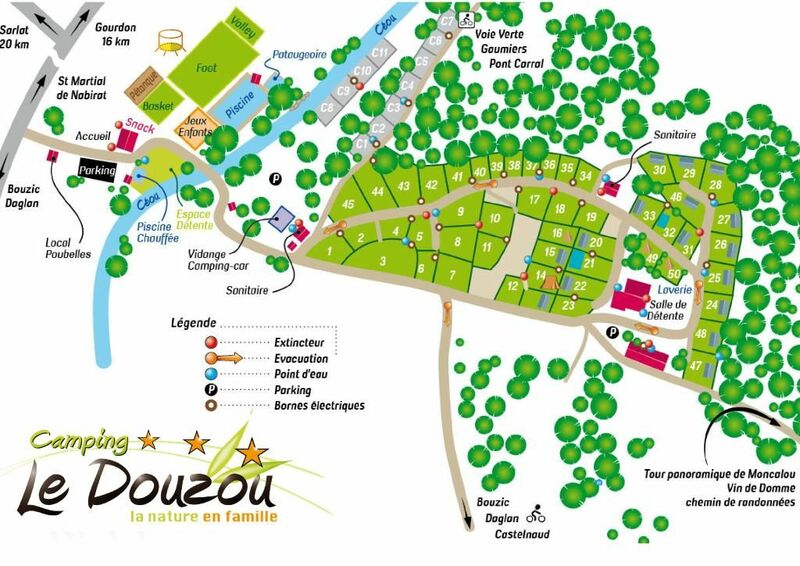 You can also take advantage of our camping pitches or our motorhome area located close to the river le Céou. On your return from this great day, you can refresh yourself in one of our 2 swimming pools or drink a cocktail on the terrace of our snack bar. As every tuesday night, go to the biggest Dordogne night market organized by the volunteers of our village of BOUZIC. Local producers will offer their best Perigourdin products that you can taste on site.